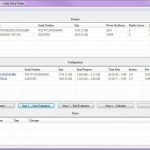 DTI Data provides data recovery services for all RAID devices and configurations. Our RAID engineers have decades of experience with all types of RAID configurations. Most RAID configurations are considered fault tolerant and the contents are often high priority critical data. RAID 0 arrays are the exception, no parity or fault tolerance is provided by this configuration. RAID 1 arrays provide redundancy by mirroring the contents from one drive or sets of drives to another. RAID 5 configurations allow the array to continue operating with the loss of up to 1 drive. RAID 6 provides more fault tolerance by allowing the RAID array to continue operating with the loss of up to 2 drives. RAID 5 and RAID 6 arrays use stipes of varying sizes across all drives and parity blocks dispersed through each iteration of the array calculated by XOR mathematics to provide this redundancy. RAID Data Recovery Pros. Where the experts turn for data recovery. Our certified RAID data recovery engineers have the highest success rate in the industry. We have coded our own tools to work with complex RAID configurations and failures. Our depth of knowledge is fostered by decades of hands on data recovery of thousands of varying RAID servers. DTI Data Enterprise Recovery engineers specialize in recovering data from all operating systems and all types of high-capacity devices and configurations including RAID 5 servers, network attached storage (NAS), and storage area networks (SAN). Often the contents of these devices are large user shares, databases, accounting systems, Exchange mail servers and other mission-critical data. 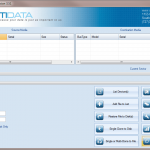 DTI Data keeps up to date with RAID manufacturers. 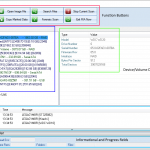 RAID manufacturers use metadata to identify or define RAID members and types. RAID configurations can use software and hardware to work together to optimize their unique RAID configurations. Our engineers stay up to date with all manufacturer defined RAID configurations, constantly updating their knowledge of proprietary data structures, file systems, and data set organization. All major RAID manufacturers and distributors recognize and authorize our RAID data recovery so working with DTI Data will not void your servers warranty. One of the most common reasons we have to perform RAID data recovery is when two or more drives fail. Our independently certified and manufacturer authorize class 100 clean room allows us to safely open hard drives in a dust free environment. Additionally, our state of the art clean room has grounded flooring and is humidity controlled. Our clean rooms are among the most state of the art in the data recovery industry. RAIDs are redundant why do they fail? There are many potential reasons for RAID failure. The most common reason we have seen for RAID 5 failure is two or more drives in the array have failed. RAID servers are usually always online with many users attached. It is very easy for a drive to fail and go unnoticed if a hardware warning is not delivered by the RAID controller. RAIDs can run in a degraded state (missing one drive) until finally another drive fails. The second most common failure is the RAID backplane or controller has failed. At DTI Data, we recover RAID data from hard drive failures such as bad heads, spindle motor seizure, controller malfunctions and media damage. RAID corruption often Linux software defined array LVM. Dell PowerEdge, PowerVault, EqualLogic, and more. Lost Critical Data? We Can Save It! Since 1998, companies throughout the United States and abroad have depended on DTI Data to recover data from RAID devices, solid state drives (SSD), hard drives (HDD), and other storage media that has crashed, failed mechanically, physical damaged or are logically corrupt. With thousands of successful recoveries, clients such as General Dynamics, NASA, Smiths, and many more have all used and continue to us DTI Data to recover their critical data. Contact us 24/7 at 866-438-6932 for a free quote.